SynapseIndia recruitment team is looking for talented & enthusiastic PPC(Pay-Per-Click) professionals for our digital marketing team at Noida office. We are hiring for PPC experts having experienced in managing Google Adword accounts. 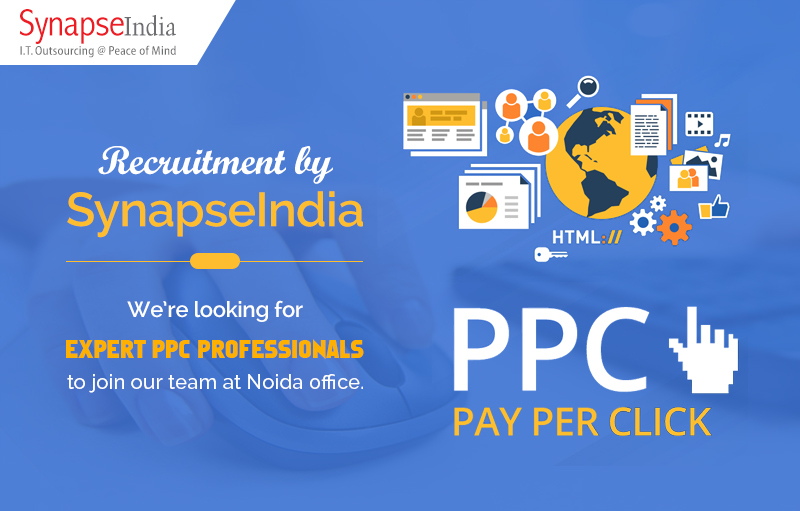 As a PPC expert with SynapseIndia, you will be responsible for assisting with PPC, Social & Display strategy ideas and building campaigns including keyword research, creating ad copy and competitor analysis. Looking for a right organisation to make your career? SynapseIndia is the place to be at. We have also been recognized as one of the best IT company by leading publications. If interested, kindly get in touch with SynapseIndia recruitment team.